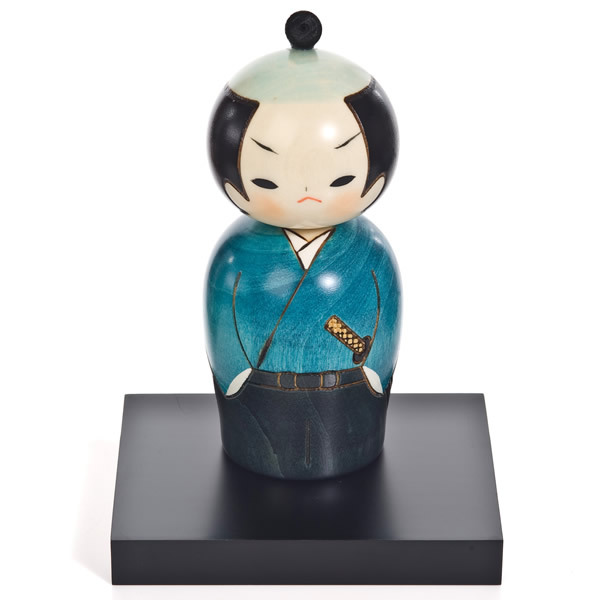 The fearsome Samurai Japanese Warrior Kokeshi Doll makes the perfect gift for collectors and martial arts enthusiasts alike. Katana under arm and stern expression on face, he looks ready to take on anyone. 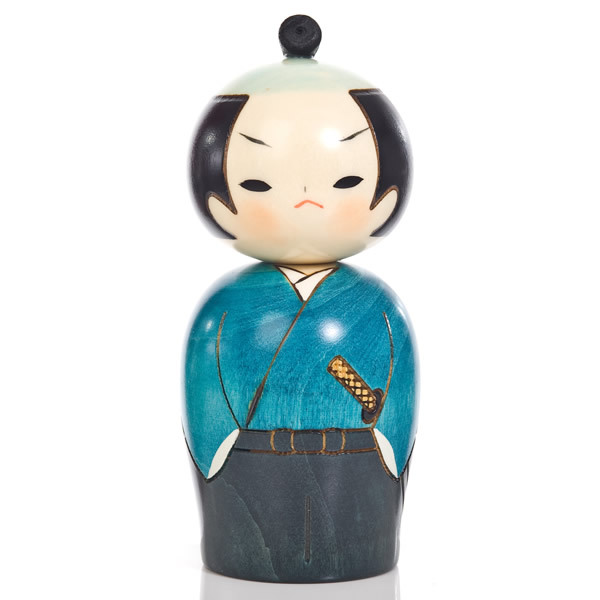 The Samurai Japanese Warrior Kokeshi Doll does not come with a display base; if you would like to purchase one as part of your order, please choose the medium size. 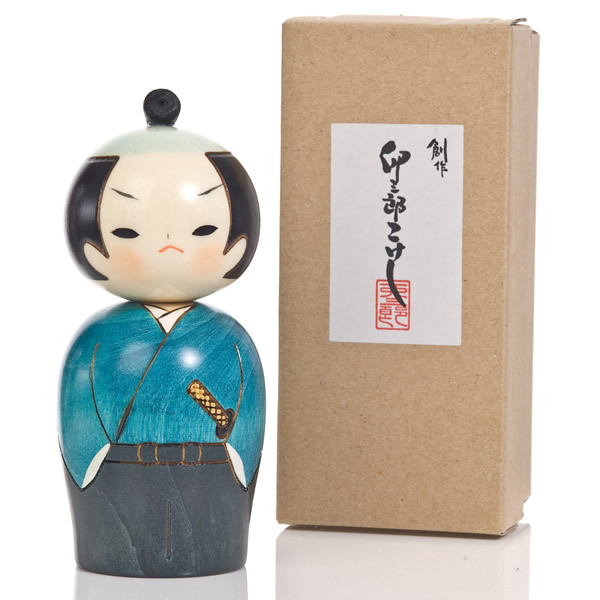 Order the Samurai Japanese Warrior Kokeshi Doll online or come to our showroom, and remember we offer a FREE gift wrapping service upon request. 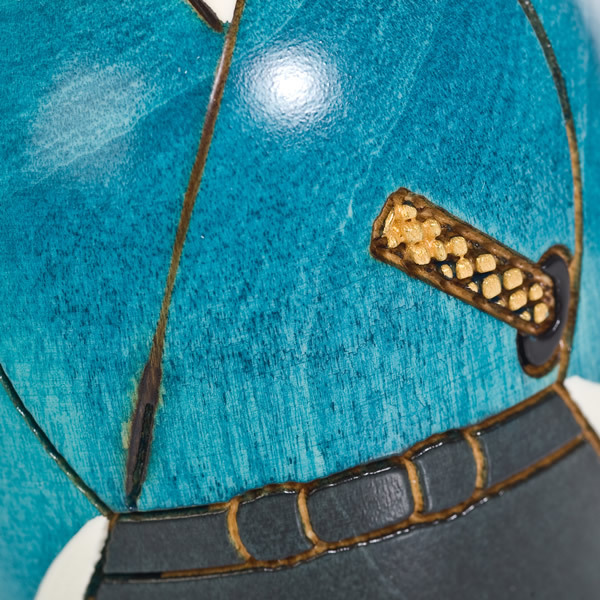 Perfect kokeshi samurai doll,beautifull and elegance,in the back of the doll there is a series of japan sign,the sward is carved in the structure of the body. I was so excited waiting for delivery of my Samurai Kokeshi Doll and Spring Dream Kokeshi Doll, when I opened the boxes I was thrilled they were more lovely than I expected!